The travel industry is now highly specialized and the average traveler depends upon the professional travel agent to guide him wisely. The principals who appoint travel agents to represent them also depend upon their approved agents to follow the best traditions of salesmanship and ethical conduct. The growing number of travel agents and their increased scale of activities require their adherence to fair dealing and ethical practices. Therefore, each TAAI member by reason of their membership admits and acknowledges that they are aware of the TAAI Code of Ethics and subscribes to and supports the precepts and principles contained therein. 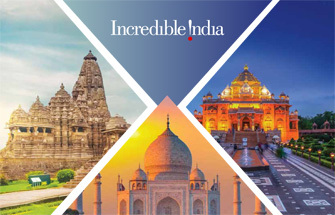 TAAI represents all that is professional, ethical and dynamic in our nation's Travel related activity and has been recognized as the voice of the Travel and Tourism industry in India. The TAAI members shall, at all times, follow the best traditions of marketing ethics and fair dealing by presenting all carriers, hotels and other agencies which they represent in a fair and impartial manner to prospective clients. The TAAI members shall make himself thoroughly conversant with tariff rules, regulations and changes in procedure introduced by his principals and the appropriate regulatory bodies. The TAAI members shall not attempt to improperly influence his principals or other organizations for the purpose of securing preferential considerations in the assignment of booking with his status in the trade and in society. The TAAI members must discourage receiving any personal favors in the conduct of his profession, in keeping with his status in the trade and in society. The TAAI member shall not make any false, deceptive or misleading statements when called on to give an opinion of a Principal's service to a client or any other interested party. In the event of a complaint or grievance by a client against any Principal, the TAAI member shall give the Principal an opportunity to make a full investigation before any further action on his part. The TAAI member shall conduct his business so as to avoid controversies with his fellow Travel agents. In the event of a controversy between TAAI members, the matter should be settled by mutual discussions, failing which it should be brought to the notice of the TAAI Managing Committee for settlement before any direct course of action is resorted to by the parties. The TAAI member shall not denigrate the business dealing of another TAAI member and shall not volunteer any negative opinions thereon. If his opinion is sought, it should be given with strict professional integrity and courtesy. The TAAI member shall not willfully violate any decision of TAAI Managing Committee. He shall adhere to the decisions taken, Memoranda of understanding or agreements initiated by TAAI from time to time. The TAAI members shall secure, preferably, a No Objection Certificate or at least a relieving letter from the previous employer of any person the former is planning to employ, particularly if the previous employer is a TAAI member. The former will help the latter in recovering dues, if any , from such an employee. If a TAAI member happens to take any account previously serviced / handled by another TAAI member, the member shall make all efforts to assist the previous member in recovering dues and clearing accounts. The TAAI member shall circulate the names of defaulters in his client list strictly as per the mode and format specified by TAAI, sufficiently in advance, to save other TAAI members from any risk of business loss. The TAAI member shall endeavor to participate regularly in the meetings of their respective Chapters and Regions, and shall contribute to the best of his ability in promoting the interests of the Association. The proceedings of all meetings of TAAI should be kept confidential and decisions taken shall not be disclosed, in part or full, to anyone not belonging to the Association.